"Thank you Julie & Sonja. I love the house and it couldn't have worked out better! Very happy! Hope to see you at our house warming party!" "It was nice to work with a local realtor who is friendly and down to earth!" "Sonja was extremely helpful and made a huge decision go very smoothly! I appreciate all of her work." "Thanks Julie! I appreciate all your help in attaining our successful conclusion." "Sonja was a pleasure to work with and was available to answer any questions we had, big or small. 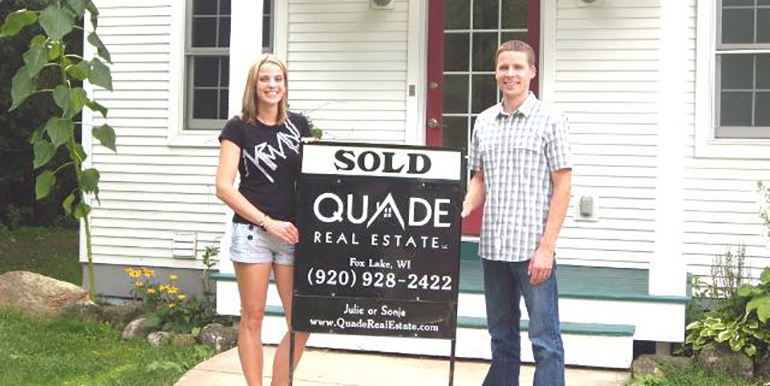 We can't wait to start building and will use Quade Real Estate when we are ready to sell our current home." "Sonja was very helpful outlining the steps of the purchase and sale of the lot. She come by our house to answer questions, promptly returned phone call or emails." "Our agents have a great knowledge of the situation at hand. If there is something they do not know, they will find out promptly and get back to you. They are upfront and honesty and concerned for clients. Top Notch! Rare these days." "Julie, you've always been accomodating to our needs. It was a pleasure purchasing not only our recent property on Fox Lake, but our previous property in Beaver Dam!" "Quade Reality is a class act!! Julie and Sonja have the necessary experience and in-depth work ethic that brings results for the customer. Quality Replica Watches I really enjoyed working with them. I am glad to have met you both! Thanks for everything!" "I call Julie my "Aunt Julie" even though we are not related. Julie and Sonja are fantastic to work with. Over the course of the last 2 years I have purchased six homes & both of them have made the process extremely smooth. Always available and on top of the games are the words I would gladly use to describe Julie and Sonja. Thank you for all your help!!" "This agent went over and above in helping us find our home. Even when we called about a house we wanted to look at on short notice, they found a way to readjust their schedule to fit us in. We are so thankful for them showing us our home." "Very prompt and easy to work with from a customer and business side. swiss replica watches I definitely look forward to working with Quade Real Estate in the future."